Almost every Doctor has met a doppelganger of themselves at some point, with the First and Second Doctors both having to do battle an enemy that bore an uncanny resemblance to themselves. But now, thanks to a clever bit of meta-humour, theres a third person running around with the Second Doctors face: Patrick Troughton. In a blink and youll miss it moment (that will melt fans brains if they try to reconcile it with established canon too much); the Robot Knights' databanks on Robin Hood contain an image of Patrick Troughton as Hood, dating back to the 1950s when Troughton became the first actor to play the legendary outlaw on television. While on the surface its simply a completely inconsequential joke, you could argue that it runs deeper than just that and being a way for Mark Gatiss to sneak another Classic Who reference in under the radar. 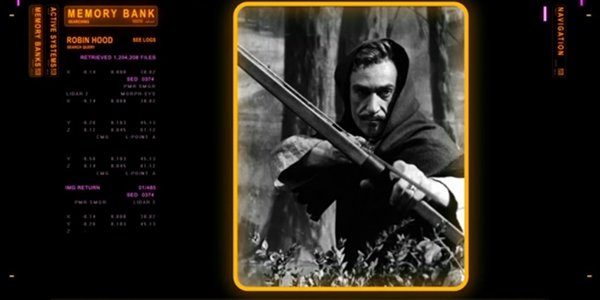 The acknowledgement of Patrick Troughton playing Robin Hood is a wonderfully subtle way of foreshadowing the eventual comparison of Robin Hood and the Doctor, and tying them together even more as British cultural legends. Though knowing the way Gatiss does things, its surprising we didnt get an offhand remark from the Doctor that the image is actually of him just to make the connection even stronger.